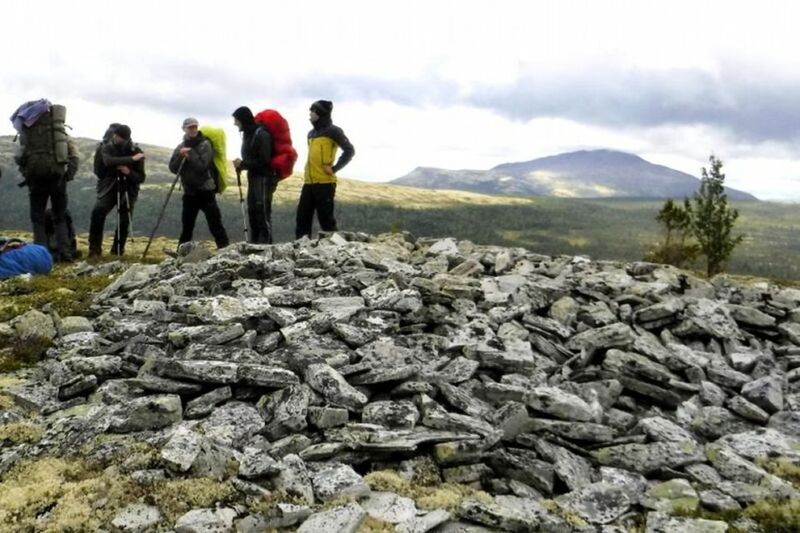 11-day guided wilderness trekking tour through the forests and highlands of Nord-Østerdalen. Every day reveals new facets of a varied scenery, majestic panoramas down from the huge Mt. Tronfjell or deep insights into Norway’s largest canyon Jutulhogget. 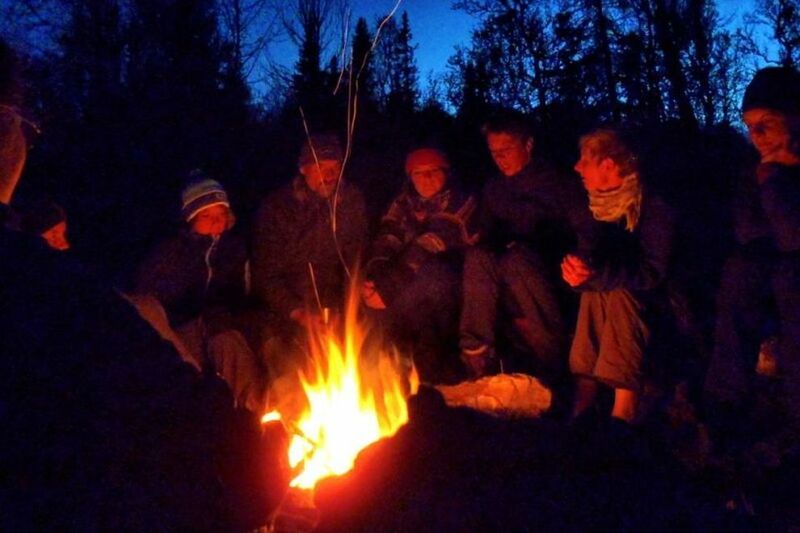 We share our meals around the campfire and sleep under a starry sky. We rove this remote and vast inland area of South Norway freely, with just the open sky above our heads. 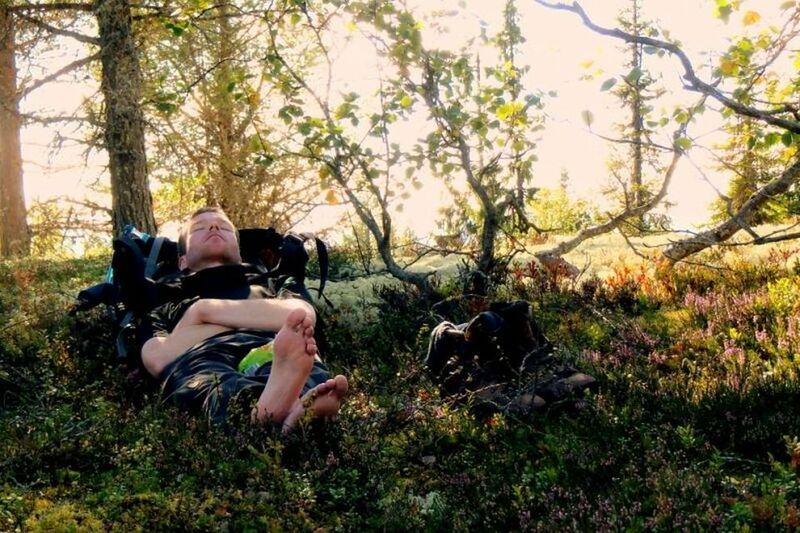 In leisurely breaks we spend time with activities about nature awareness, tracking or wilderness living, which allow us to experience the wonders of the wilds in a profound way. By night, we build simple camps, share dinner around the campfire, tell each other stories and go finally to sleep under an open sky. Join in to an extraordinary back-pack wilderness tour, experience the deep calm and powerful magic of this unspoiled region in a day-round outdoor life and connect deeply with nature. 8 hiking legs with backpack, partly off trail (7-14 km, duration 4-6 hrs). 1 day trip of your choice. Sure-footedness and average fitness required. Max. 14 pax, suitable for adults and youth from 14 years upwards.